Last time I posted a top ten around these parts, it was my top ten lunch games, games that can be played and taught comfortably within the confines of a lunch hour. But what if your lunch hour is more like a lunch break? Or what about those times when you want to play another game, but you’re waiting to mix up the players, and the other group is playing a game of Power Grid that simply will not end? That, friends, is where the aptly named “filler” games come in–short games that can be used to open, close, or fill gaps within your game night. Short playtime. A filler game should last a maximum of thirty minutes, and it doesn’t hurt it to be shorter (10-15 minutes), provided that it doesn’t get stale after one play. Small ruleset. If a game takes only 10-30 minutes to play, it should not take ten or even five minutes to explain. An ideal filler should be able to be explained in three minutes or less. Small footprint. An ideal filler game should fill gaps in time as well as space. The ideal for a filler game, in my mind, is for it to fit within a pocket, but regardless, these games should not occupy much space within a game bag or on a table. Conversation starter. Filler games should not be so intense as to preclude conversation. Fillers ideally are clever and interesting diversions. They provide a fun play experience, usually with a distilled mechanism, but they should not do this at the expense of talking with the other players (even if it’s about the game). So which ten games do I think best embody these virtues? Here’s my list. 10. Money. 3-6 players, 15-30m. I almost didn’t include Money on this list because of its somewhat intense Knizian scoring system, but that would have been foolish. 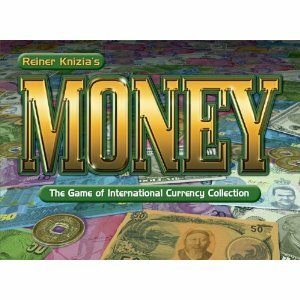 Money is a great blind auction game with a fair space for bluffing. Each turn players choose cards from their hands to bid for two “offers” from the bank. Players reveal their cards, and in high bid order, players can either take what’s in front of them into their hands or exchange the pile in front of themselves with another pile at the table (either the offers or another player’s bid). Easy. The scoring is a bit tricky, as currencies only score if you have more than 200 points in them. And, well, there’s more to it than that. But this is a brilliant little gem that plays quickly, and players usually catch on to the scoring system with a little prodding during play. 8. No Thanks! (Review forthcoming) 2-5 players, 5-15m. 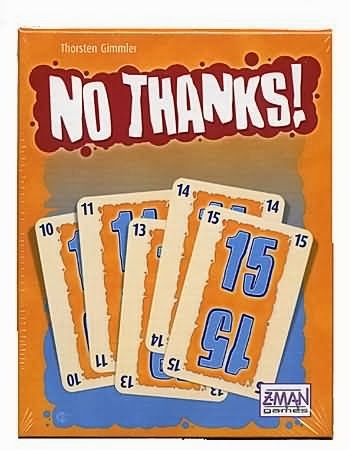 In No Thanks!, each turn involves a binary decision (a theme for fillers I love, perhaps): either take the card on offer from the deck (along with all of its accompanying chips) or pay a chip to pass. The player with the lowest score at game’s end wins, so taking fewer cards is preferable (though chips are worth -1 point). But if you have cards in a sequence, only the lowest in the sequence is worth points at game’s end. This is a very clever game with more going on than meets the eye. 6. FlowerFall. 2-7 players, 5-15m. FlowerFall is stupid, stupid fun, but fun it is. Players receive identical decks (except for the color of flowers on the cards) and shuffle them up. On each turn, players drop cards onto the playing area (which can be anything–terrain!) in an attempt to control gardens in a bid for points. This is a dexterity area control game that’s a lot of fun because, let’s face it, no one is good at dropping cards. 5. Click Clack Lumberjack. 2-7 players, 5-15m. 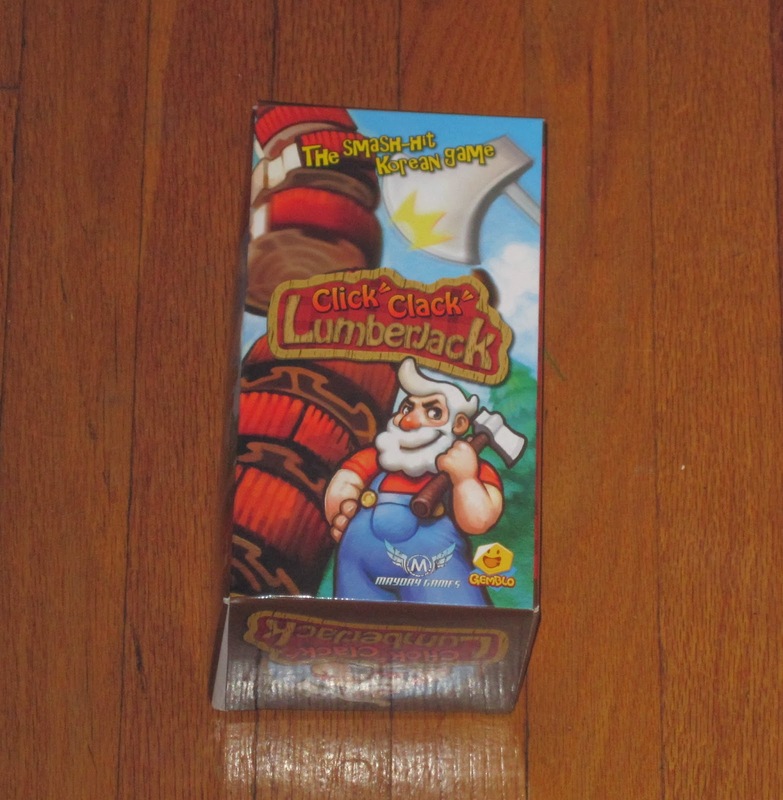 Click Clack Lumberjack is another dexterity game where players try to knock the bark off a tree while keeping the trunk intact. The components in this one are excellent (as they should be), though the packaging is a little larger than I would hope for a typical filler. Oh well. The gameplay makes up for it. This one is silly fun, and it’s good with kids or adults because, again, no one is good at wielding a tiny ax. 4. Get Bit! 2-6 players, 10-20m. Get Bit! is a simultaneous action game distilled. 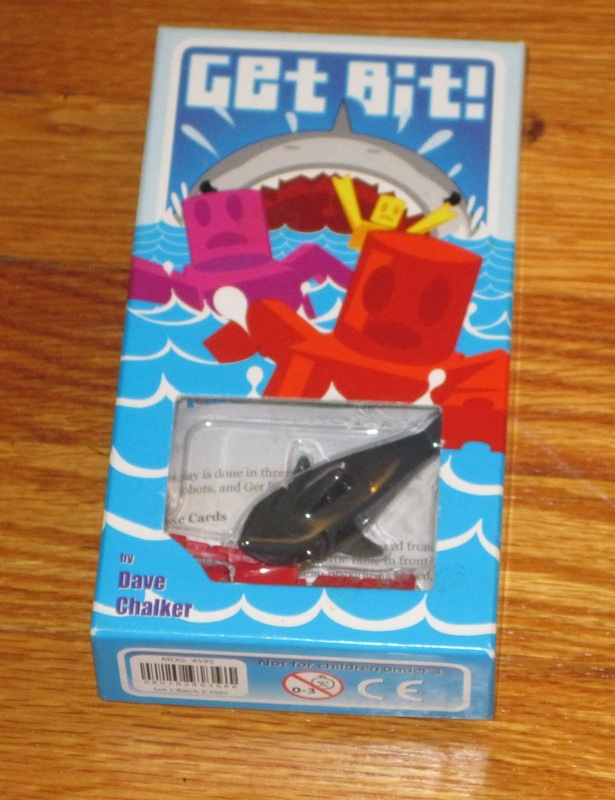 Players are swimming robots and have an identical hand of cards, and on each turn, players play a card to determine when they move to the front of the line (away from the shark). Lower numbers move first (and are thus worse), but if two players choose the same number, they don’t move at all. The player’s robot at the back of the line once cards are resolved loses a limb, and once a robot loses all four limbs, it’s out of the game. The robot in front when only two robots remain is the winner. This game is simple enough for kids to play, but it’s a lot of fun with adults as well, especially as you try to get into other players’ heads to guess what they’ll play. 3. Sushi Go! 2-5 players, 10-20m. I love card drafting, but 7 Wonders, while having a shortish playtime of 30-40 minutes, takes up a lot of table space and has a long setup and rules explanation time. 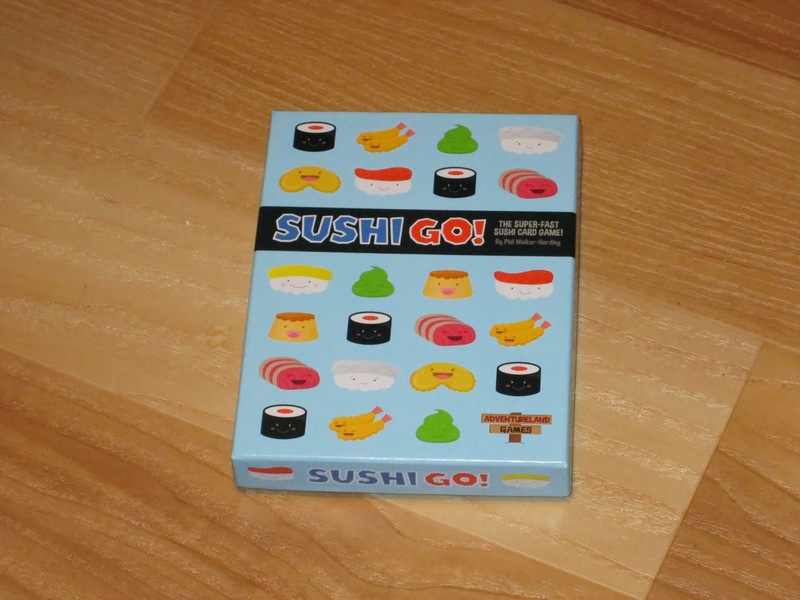 Sushi Go!, on the other hand, is as quick as the name leads you to believe, and even faster to explain. Players collect sushi dishes that score in different ways, trying to create the tastiest (read: most victory-point-saturated) meal they can. The artwork is on the cute side, but really good. This one is pocket sized, which ensures that this gets taken everywhere with me. 2. 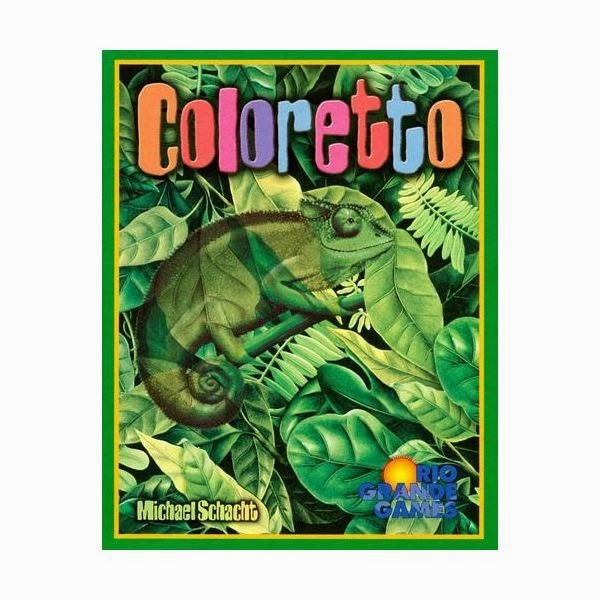 Coloretto. (Review forthcoming) 2-5 players, 10-20m. Oh boy, is this game awesome. The game can be explained so easily: each turn a player may either claim a card row or draw a card, placing it in an available card row. (Each row can hold a maximum of three cards.) Once a player has claimed a card row, he or she is out of the round. At the end of the game, each player scores positive points for their top three color categories, and negative for every other color (according to the score tables). This is a simple, simple framework, but there is lots of room for clever decisions within it. You drew a card you want–where do you place it? You are simultaneously trying to build a card row for yourself with stuff you want (and no one else does) while also sabotaging the rows your opponents might be interested in. Fast moving and incredibly clever. This one also fits in the pocket and travels with me most places. 1. For Sale. 3-6 players, 10-15m. 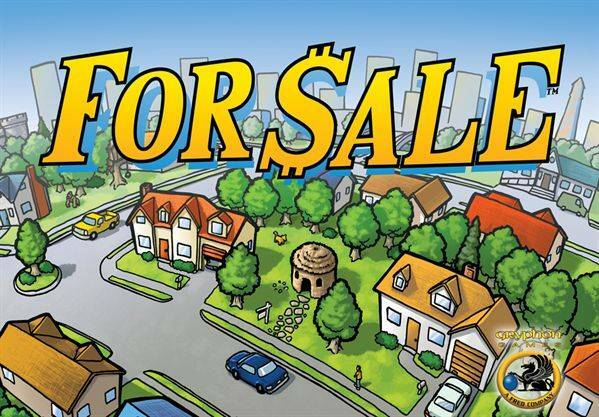 For Sale is the pinnacle of filler games. It is a two-step auction game. The first step involves bidding on properties; the second step involves flipping the properties for fat ca$h. The first step is a more or less traditional auction. One property per player is on offer, and on your turn you can either bid, placing at least $1,000 more than the last bid in front of you, or pass, paying half of what’s in front of you to the bank and taking the lowest remaining property on the table. The last player to pass pays the full amount but gets the most valuable property. The trick in this game is, in most cases, trying to come in second: getting almost the best property while paying half of your bid. This isn’t easy, though, and you have to outguess your opponents. The second step is a blind auction, where four checks are laid out, and each player secretly chooses a property to bid. The rank of the properties determines who gets which check. This game is always a blast when we play it, and it opens the floor for all kinds of banter and taunting. The property artwork is flawless (the 1 is a cardboard box; the 30 is a space station). This is another Gryphon Games bookshelf series entry, so the box isn’t pocket sized, though you could easily condense it if you wanted to. It’s worth it, though, even if you allow it to take up more valuable real estate in your bag. A couple that I really enjoy that more-or-less fall into this category are Hey, That’s My Fish and Morels. Some that are still idling somewhere on the wishlist are Mascarade, Dragon’s Hoard, and Archaeology: The Card Game. Oh yeah. Hey, That’s My Fish! is a really good one. I’ve not played Morels yet. I didn’t care for my one play of Mascarade at Gen Con, but I’d like to try it again with a different group. What are Dragon’s Hoard and Archaeology like? Can you compare/contrast Citadels and Mascarade in a couple sentences? I’m curious. I haven’t played Dragon’s Hoard (which is still only in pre-order state), but Vasel did a preview vid that you can check out. Looks like fun. Don’t know much about Archaeology either, except that it’s from Adventureland Games (Sushi Go!) 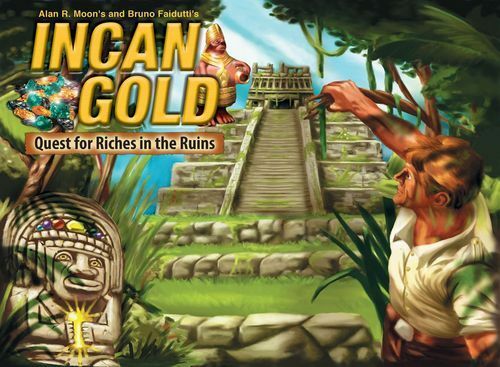 and ranks just outside the top 150 Family Games on BGG. Mascarade is a hybrid of Citadels and Coup. It removes the city-building and drafting of Citadels and heightens the bluffing element (as in Coup). 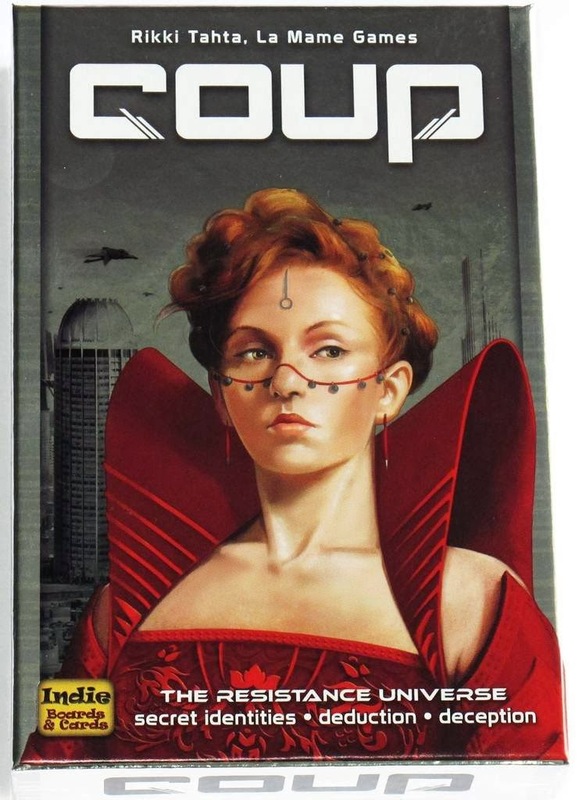 I think Coup is better because it offers more control than Mascarade; in Mascarade, there is a little too much uncertainty (even about the card in front of you). Great list! I absolutely agree with For Sale and Coleretto being first class fillers. I don’t care as much about compact size when it comes to my fillers (Can’t Stop and Take It Easy are worth the extra space). If I was limited to size I would suggest Cheeky Monkey and Slide 5/6 Nimmt as well as Hey, That’s My Fish (mentioned above). Can’t Stop is so good. My wife plays it all the time on her tablet because games go especially quickly when the computer does the math. Honestly, I’m pretty close to you, with For Sale being on top of my list. The only ones I can think of that you didn’t mention that I play often are Falling and Ivanhoe. Falling is a real time take that game which is ridiculous and worth playing half a dozen times just for the experience. Ivanhoe is an overlooked Knizia that’s a much better version of Gem Dealer, adding special cards to influence play and making the suits different values from each other. I do like Falling quite a bit, though for me it doesn’t fill very much time. (Two or three rounds, and I’m done with it until another session.) I need to check out Ivanhoe–I generally like Knizia titles, and while I’m guessing the theme is commensurate with other Knizia games, I do love the book (and old TV miniseries…but that’s more from nostalgia). The theme (fighting in tournaments for laurels) does actually fit reasonably well, but the fact there are two other versions that are similar (Attacke and Gem Dealer) with two different themes attached tells you how essential the theme is, though. Once Upon a Time – Very quick story telling game. Easy to explain and fits in your pocket. Scales well to almost any sized group and yields hilarious experiences. Forbidden Island – Probably only borderline filler. It’s quick to play and teach and has a relatively small box. It’s also co-op which is a nice change of pace. I keep hearing about Once Upon a Time. I’m not sure about storytelling games, but hey, I’ll try (just about) anything once. Thanks for the recommendations! Thanks for this! Small footprint was a good criterion; something I wouldn’t have considered. Great variety of topics. Now I want to hunt around for more tiny dexterity games! I’ve heard R&R Games’ Attraction is good (small dexterity game with magnets), but I’ve not played it. Maximum Throwdown is another small dexterity game, kind of like FlowerFall except you throw your cards and they have special powers. Clubs – We’ve played this at the last few meetups and it goes pretty quick. The only game I feel is missing is 6 Nimmt! (also known as Category 5 or Slide 5). Quick lunchtime game, relatively easy-to-explain rules, and surprisingly impactful decisions. Lots of fun, too, with lots of groaning, griping, and teasing. Andrew and Gil, based on your recommendations for 6 Nimmt!, I looked it up and tracked down a copy. I look forward to playing it. Thanks! The box of Slide 5 describes the game as “Fast and Unpredictable”. The Unpredictable part would probably be a problem for me if it wasn’t for the Fast part. Given the amount of time that it takes to play it sure is a lot of silly fun. One of the biggest selling points is the ability to seat up to 10 (!) players and I think it becomes more fun with larger groups. Also, since it’s simultaneous action it doesn’t really have much added length. Hope you enjoy it! I agree that Slide 5 / 6 Nimmt is a lot of fun; but it ain’t “silly”. The one person I know who won it more than average was a Bridge player/teacher – so “counting cards” plus a strategy *can* enable you to do very well at this game (I am assuming you will play at least 3 rounds in a session and total the points). 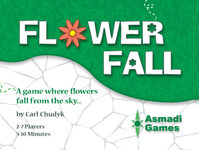 As for Flowerfall, I would suggest that ALL dexterity games are fillers. I’ve never played one that takes an evening to play, and although they usually come in larger boxes, they are nice to put on the table and play until everyone has arrived and is ready to dive into something deeper. Besides those already listed in the comments, I’d also suggest Pickomino and Piece o’ Cake, both popular fillers with every group I’ve hosted. Ascending Empires is a good example of a dexterity game that is definitely NOT a filler. Also, some dexterity games may be shorter or more casual than heavier euros or war games or whatever, but that doesn’t make them “filler” games. I’m thinking of Dungeon Fighter and Rampage off the top of my head. What about Fairy Tale? I’ve heard great things about it. I’ve not played Fairy Tale, but from what I know about it, it’s a lot like Sushi Go. Sushi Go is a more streamlined, family-friendly drafting game; Fairy Tale (I believe) is more of a gamer’s counterpart. 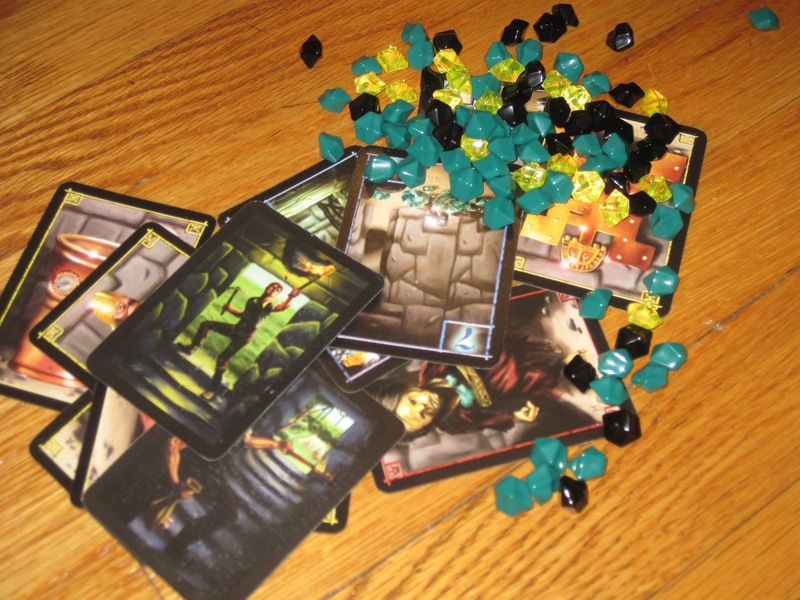 Wow, super late to this thread but my hands-down favorite filler game is Zombie Dice. I’ve played it with loads of people who almost always go right out and buy it. Oh, and Love Letter (although I actually like Lost Legacy more now) is a good one, too. Love letter amazing quick game with 2 players you could play at least 8 games in 20 mins great fun only 16 cards but the format works so well once you play your hooked. Easy to carry can teach it in 2 mins. Fairytale – it is a drafting game with more Oomf! But Sushi is close enough. Yahtzee: Steal the Deal – if you need 10 min Yahtzee and portable. Guillotine. Simple, easy to learn, and very silly. 3-6 players. 10-15 minutes. Juust became available in BGG store, althlugh shipping from Japan was fast too. Press your luck, and risk management. Even has some take that. No player elimination either. Just a great game, and worth the money!